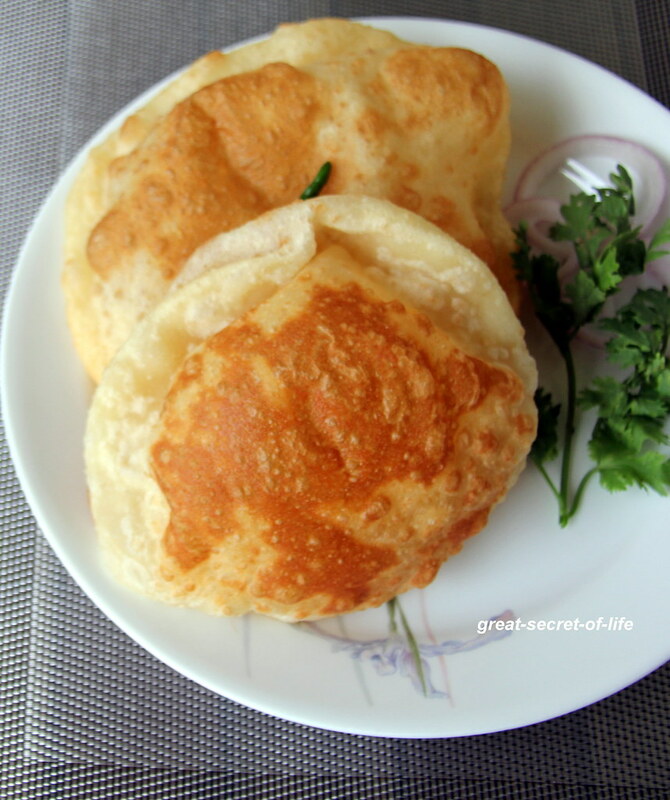 This is one of the favourite recipe for my kids. If we are visiting any south Indian restaurant this is must for them. They refuse to enter restaurant if Bhatura is not on menu. 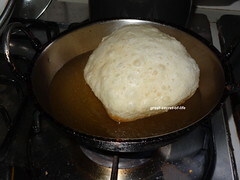 It is one of the popular Punjabi dish but famous across whole India. 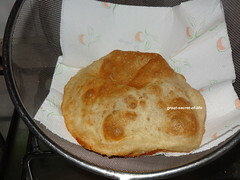 This is a very simple recipe and is without yeast too. Punjabi Chole is perfect side dish to go with it. I like to have with Pindi chole too. 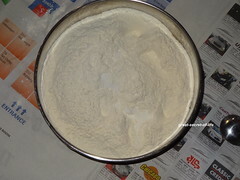 Sift the Flour, Soda, baking powder together in a bowl. Mix curd, sugar, salt and mix well. 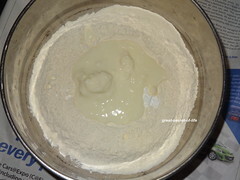 Make a well in the middle pour curd mixture in the middle. Bring the flour together. 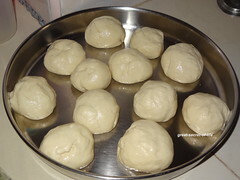 Add enough water and knead to make soft soft dough. Make sure you add water little by little. Knead well get soft dough. 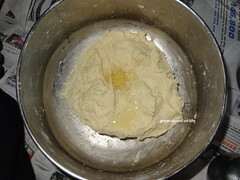 Add oil 3 tablespoon of oil and knead again. 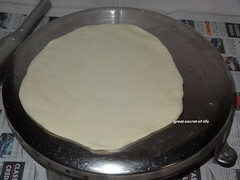 Close it with damp muslin cloth and leave it aside for 1 hour. Divide that into equal size 12 balls. Apply oil and on the balls and leave it for another 30 mins. 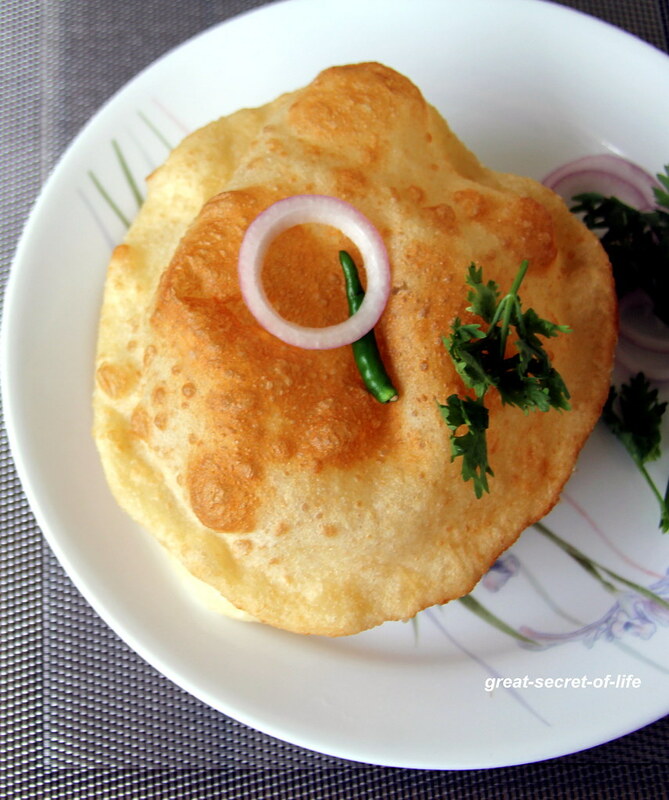 Though the oil scares me when I see the batura all that guilt vanishes into thin air :) U have made it so well Veena. I love this dish too and really can't resist it. But as Meena Kumar mentioned, I get scared of the oil. Nice pics! 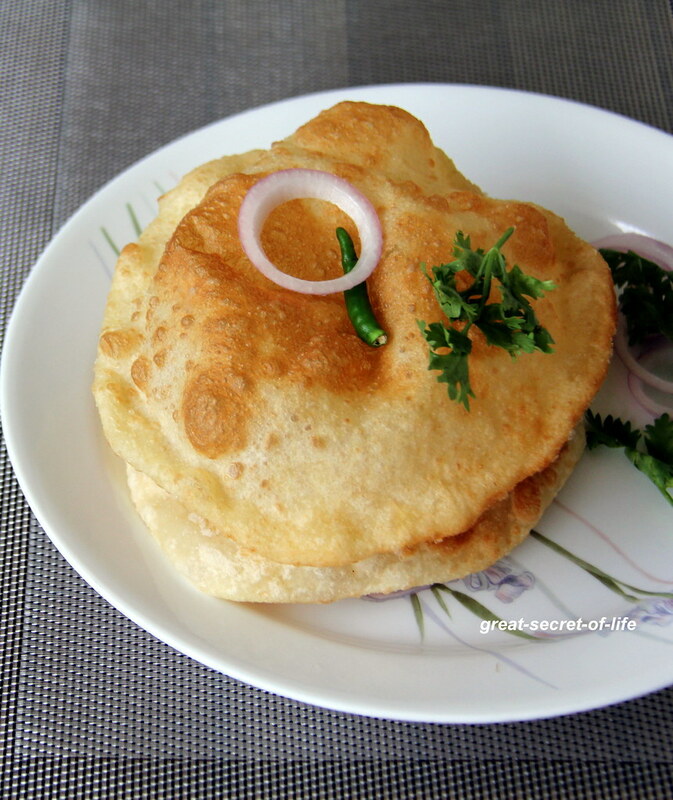 Bhatura and chole is one of my favorite foods.. Looks superb! My all time favourite, just serve me with chole, i can have it anytime. divine combo, love it core!!! My all time fav,u made it soo perfect! !